Couples Resorts are proud to own and operate five all-inclusive luxury boutique resorts in the Caribbean – four in Jamaica and one in Barbados. Each resort embraces a style that combines the casual with the chic infusing an idyllic island ambiance. All the resorts offer guests a genuine, intimate and memorable experience. Guests are always charmed by the warmth of the Caribbean people who are genuinely happy to greet you and ready to welcome you to the beautiful islands of Jamaica or Barbados. 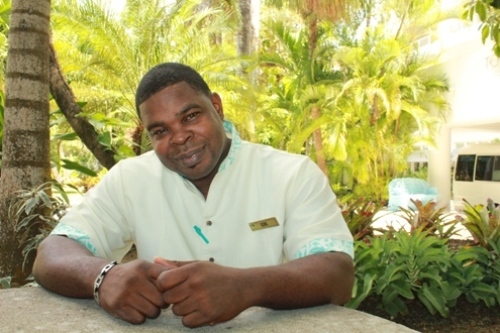 Kirk Bariffe (AKA ‘Captain Kirk’) has been employed at one of the top Caribbean holiday resorts, Couples Tower Isle, since 1997. 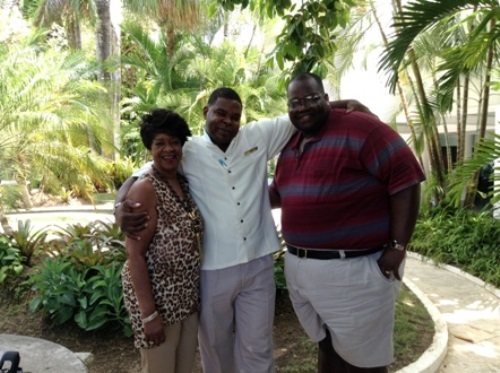 Kirk says it feels like only yesterday and not 16 years ago, when he joined the resort staff as a bellman. Married with four kids, Kirk’s friendly attitude and beaming smile shines every single day. He’s often the first person to welcome you to the resort. Take a look at the video link (below) to see Kirk in action with two of his favorite returning guests, Sandy and Big D, from New Jersey. Kirk knows this couple extremely well (they visit Couples Tower Isle twice a year!!). With an overall repeat guest rate of 40%, the Couples Resorts brand has managed to continue to exceed the expectations of many. We hope to see you again at any one of our resorts. And if you come to Couples Tower Isle make sure you say a big hello to the one and only ‘Captain Kirk’.